(GDPR) is live, now is not the time to stop improving and refining your data protection measures. Not only will you be meeting your legal obligations but you are able to provide a better service to your customers too. This checklist provides key steps and areas to explore and provides the information you need to ensure compliance. 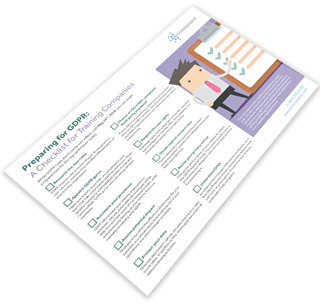 Start your GDPR preparation today by downloading your free copy.